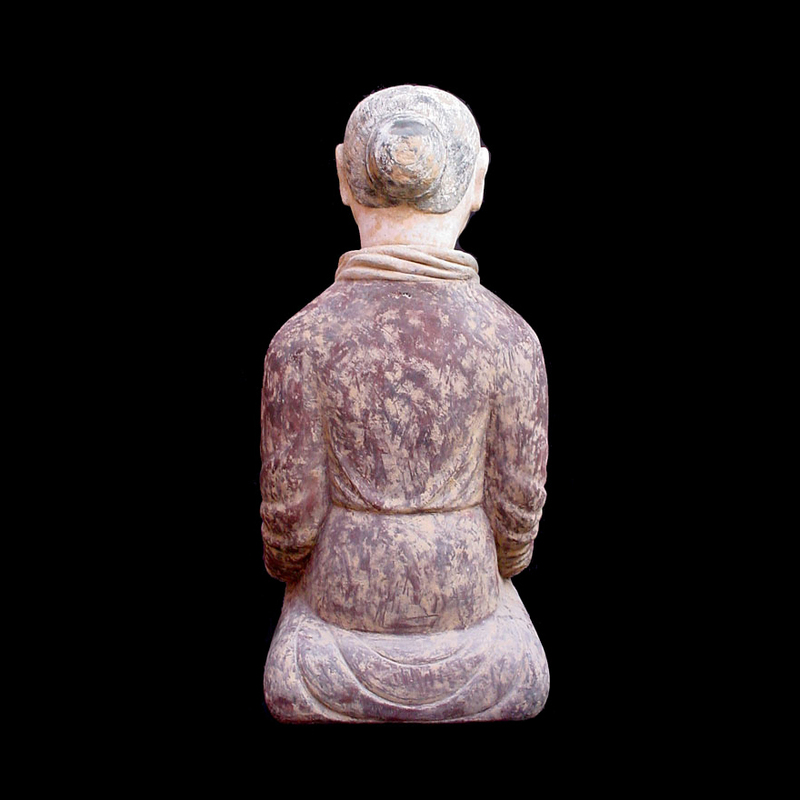 An important terracotta sculpture of a Stable Master. 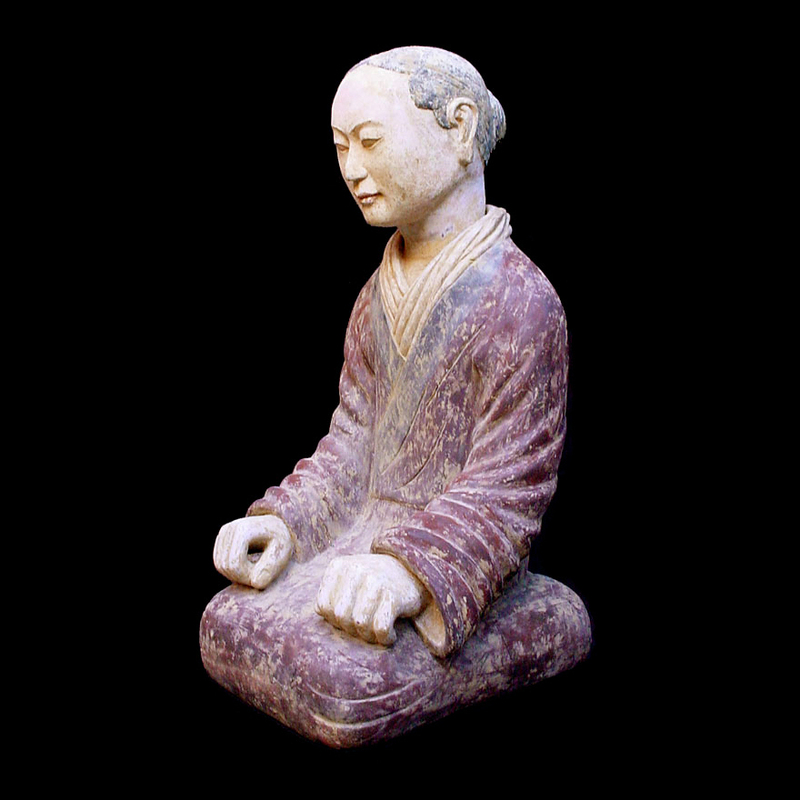 Beautiful naturalistic form, kneeling with hands clasped resting on his knees. Clearly displaying applied pigment decoration. 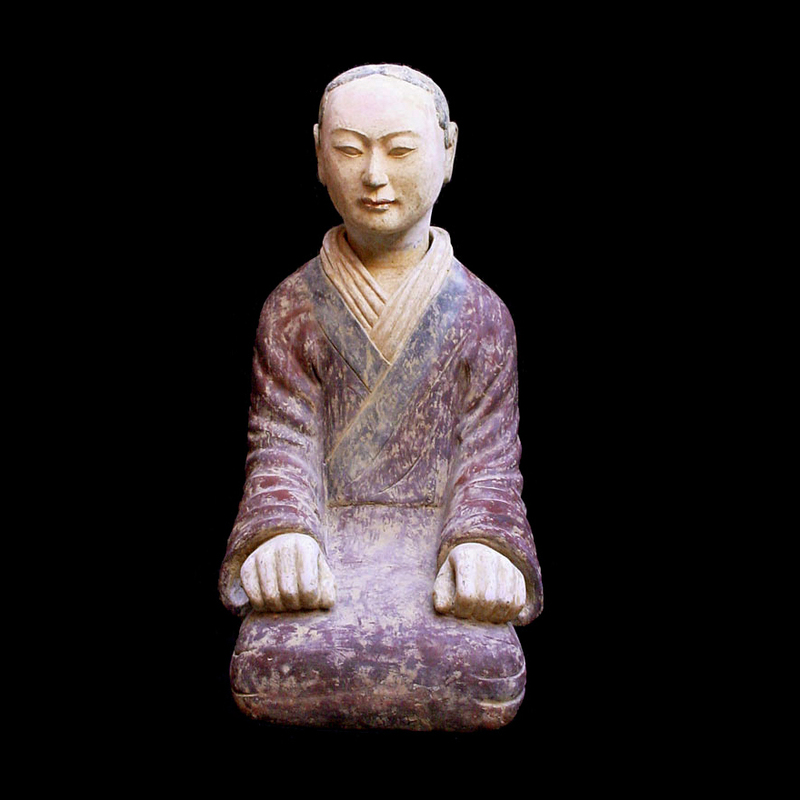 An important terracotta sculpture of a Stable Master. Beautiful naturalistic form, kneeling with hands clasped resting on his knees. Clearly displaying applied pigment decoration. These figures are said to represent keepers of war-horses, exotic birds and livestock. This piece is accompanied by a thermoluminescence from the University of Wollongong, NSW, Australia, stating its age to be approximately 2040 & 1880 years BP. Areas of restoration on the base, and hands, in otherwise good condition. "Imperial China. The Art of the horse in Chinese History", Plate 105. 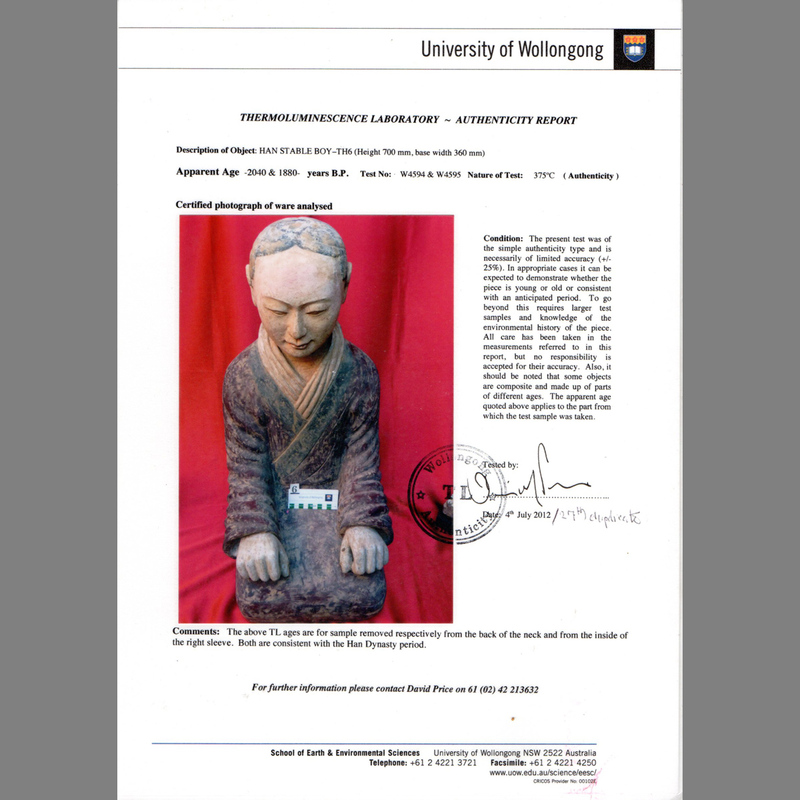 "Minerva" - The International review of Ancient Art & Archaeology. November/December 1994, Volume 5, Number 6, Page 6.